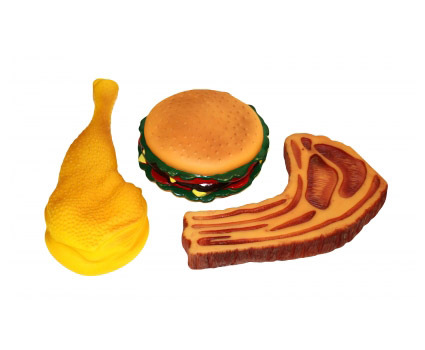 The Happy Pet Vinyl Food is a popular choice with dogs due to the bright colouring and internal squeaker. Great for chewing and retrieval games. Toy supplied will be randomly allocated. There are currently no questions for Happy Pet Vinyl Food Dog Toy - be the first to ask one!